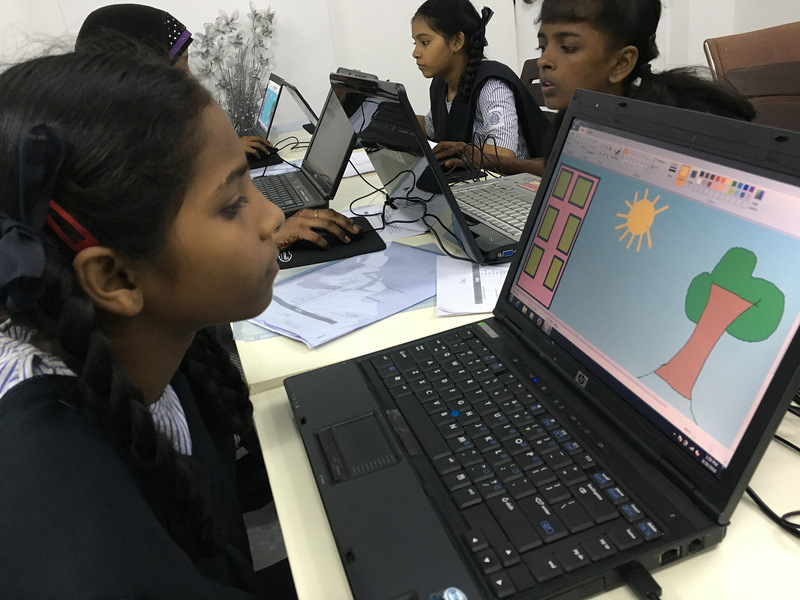 Educating and empowering underprivileged girls, through technology, in geographic areas where the need is the greatest. In her early days growing up in Bandra, India, Bernadine de Souza always watched the little orphan girls at the Mount Mary’s orphanage with much sorrow and sadness. Since then, she has often thought about what she could do to make a difference in the lives of young underprivileged girls. 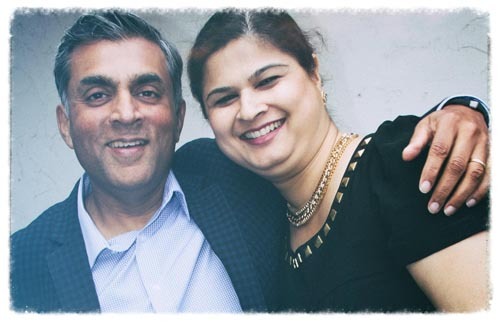 For Philip de Souza, it has always been about the importance and need for a strong education. Putting these two ideas together, Ainiti was born. The word Ainiti derives its origins from Sanskrit and means either infinite or divine. Usually a girl’s name, nothing could be more apt for our organization; catering to underprivileged girls the world over. We feel we are on a divine mission to empower these children providing them infinite possibilities through education. The infinity symbol ? is for the endless possibilities we strive to provide through education. Our logo is a fusion of multiple ideas coming together, much like the efforts of this organization with support from all around the world. When we asked the girls what they wanted most, these underprivileged girls surprisingly answered ribbons! Having their hair oiled, neatly combed, and in ribbons gave them a feeling of self-worth, pride, wellbeing and belonging. Our infinity logo is angled to look like the ribbons in the hair of these precious gifts temporarily in our care. Blue to Pink: The color graduates from blue to pink. As these girls begin their lives in a gender biased world, we hope that through education Ainiti is able to empower these young girls to establish themselves securely, setting their mark and turning their worlds pink. The butterfly: Our founders live in Palos Verdes, the site of the endangered Palos Verdes Blue butterfly, much akin to the world of these young hopeful girls, we help in giving them the wings to fly high in the ever-changing technological world. We are always in need of help! In the modern world with great gender inequality, it is more and more important that girls are self-sufficient. Basic computer skills are essential in advancing these girls forward and opening the door for greater opportunities. Ainiti educates underprivileged girls, giving them infinite possibilities for a strong future and the ability to build great and meaningful careers. Our hope is that well-educated girls will break the gender bias, especially prevalent in underdeveloped economies. Without the help, support and education Ainiti provides, these girls’ future may be endangered. FYI: This challenge parallels to the endangered Palos Verdes Blue Butterfly, once popular in the hometown of the founding family and represented in our logo. Learning to draw using Microsoft Paint. Copyright Ainiti 2016 All Rights Reserved.